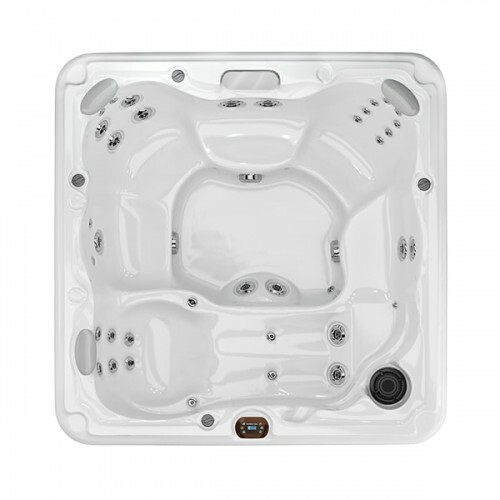 With room for up to six adults, the Peyton® spa offers lounge seating with wrist jets and a classic hydrotherapy experience for total relaxation. In the lounge seat, your cares gently melt away – from your back to your wrists to your feet. 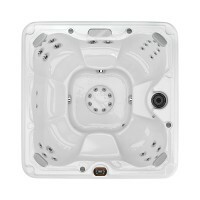 Throughout the spa, seats in many sizes, configurations and jet formations soothe muscles and release knots, including a jetted seat that offers a less shallow soak while easing strain in your back. And, an asymmetric foot dome nestled into the side of the footwell makes it easy to move around the spa. Melt your cares away from your back to your feet while relaxing in a reclined position. Wrists also find respite with the only lounge seat in the collection to offer wrist therapy. This unique jetted seat offers a less shallow soak while banishing strain in your back.